Whether you’re DIY-ing your own site, or trying to figure out a solid system for approaching client site design projects, it can be tough to know where to start. Of course, some site design projects will require a slightly different approach, but these six steps should generally be a solid starting point. Most themes and templates come with sample pages that are pre-formatted with demo content. These pages allow you to get a feel for what your site will look like when you add in your content. However, if you don’t delete these pages, people can still access them via Google search – while it’s unlikely this would happen, you don’t want people ending up on a “sample” page, right? You’ll give people the best first impression and an optimized experience (because deleting these pages will also make your site load a bit faster) by trashing sample pages from the start. Permalinks show up in the address bar whenever someone is viewing a page on your site. For example, the permalink for my Hire Me page is jesscreatives.com/hire-me. Initially, your permalinks will be set to default (Plain) – in WordPress, this means it will be something like yourdomain.com/p?123. I generally recommend that you change this setting to Post Name. 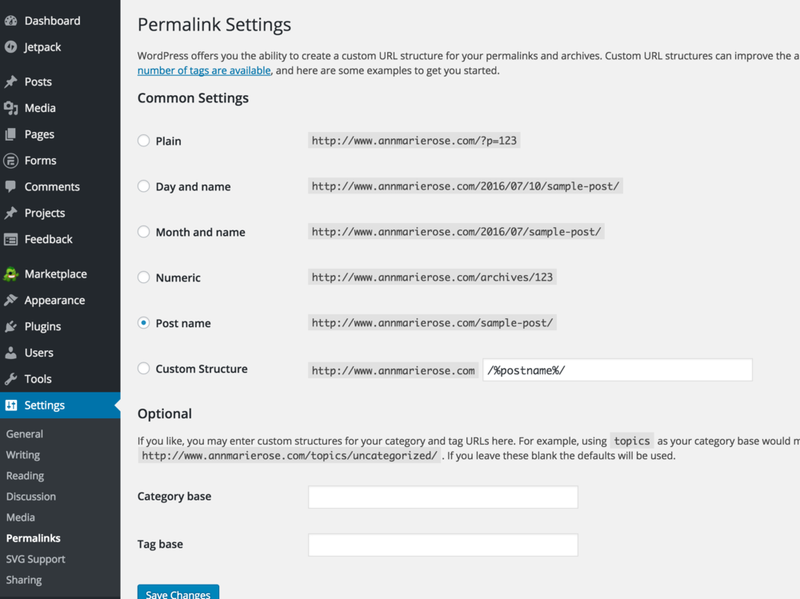 You can do this by going to Settings > Permalinks, and selecting your preferred permalink format. 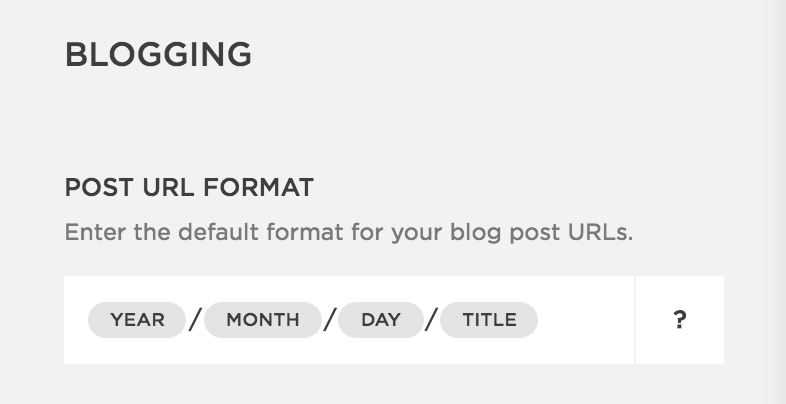 In Squarespace, there’s not a list of permalink formats to choose from, but you can still edit the permalinks for your pages and posts. I change the blog permalinks for many of my clients, because the date info (2016/06/29/blog-name) in the permalink is unnecessary. You change this by going to Settings > Blogging. See more info on Squarespace permalinks right here. To change the permalinks on a page, you’ll select the gear icon next to the page, to see the Page settings, and edit right there. I always make sure the URL matches the page name, and the link isn’t something like “/about-us-1”. This change benefits your site’s SEO, plus, it just looks cleaner and more professional. 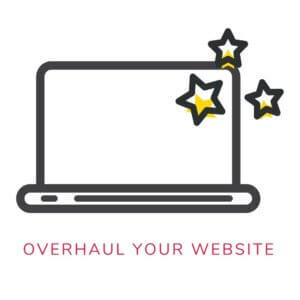 I make this one of my first steps to avoid having to spend hours upon hours changing individual permalinks for separate blog posts and links later down the road. Take care of this right away and don’t think too much about it — you can always change it later. This is one, small detail that so many people miss. It’s so obvious when people skip this step because of what is displayed when they share their site on social media. Notice how the top one is just all one word, while the bottom one has keywords, and the business name? Which one looks more professional to you? The “Home” on the top one is acting as a page or site description, but it’s also not very descriptive. 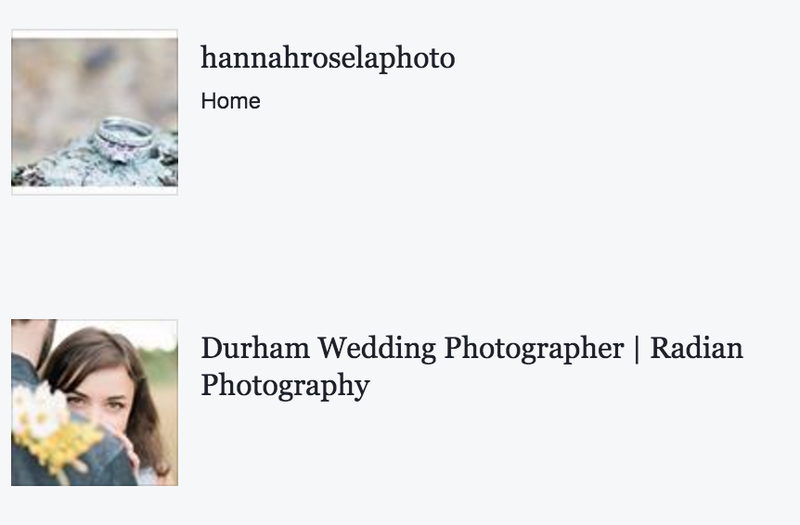 Neither of these sites actually had a site description when posted on Facebook. If you’re using WordPress, you can do this within your SEO plug-in (like Yoast), and if you’re using Squarespace, you can do this within Settings. Here’s a step-by-step guide to fix those little errors, and get it to display correctly on Facebook. This is another one to tackle right away while it’s top of mind. It’s easy to forget this step but it’s essential when it comes to protecting your site content. Even if you don’t have an actual registered copyright, adding “Copyright [your business name + the year]” in the footer of your site can deter many content copycats from stealing your work. Your 404 page is the place where people are directed if they click a broken link or try navigating to a nonexistent page on your site (p.s. – you should keep an eye on your 404 errors and fix them!). A custom 404 page that showcases a bit of your personality and gives people something to do can serve as a useful extension of your brand. It’s a SMALL detail that will only take you a little time to set up. Create a new page, and name it 404. Add your content to the page. I suggest a quick greeting, a search bar, and links to popular pages on your site. Download and install the 404 to 301 plugin. Configure the plugin to redirect 404 errors to your newly created 404 page. Go to Settings > Advanced > 404 Error. Select your new 404 page from the drop-down. You only need to complete this step if you’re moving your site to a new URL. A 301 redirect is sort of like a “change of address form” you’d pick up at the post office if you moved. Basically, it’s a permanent redirect from one URL to another. So, anyone who clicks a link or tries to navigate to your old site will be automatically sent to your new site. Earlier this year, a client of mine completely rebranded her logo and website. 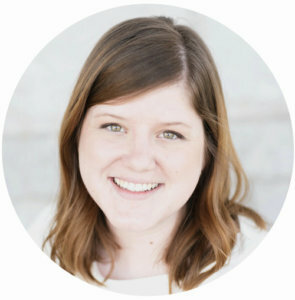 She kept her same name, but wanted to change her URL, to be shorter and to be a little more SEO-friendly. WordPress: There are a number of great 301 re-direct plugins you can use, like Quick Page Redirect Plugin, or Redirection. Squarespace: There’s a place right inside the Settings tab (within Advanced) to set-up 301 re-directs. You can find more step-by-step info with Squarespace’s guide. Still have questions about how to get started designing your new site? Let me know in the comments! Yoast’s article is talking about using the plugin to direct 404 errors to your home page. 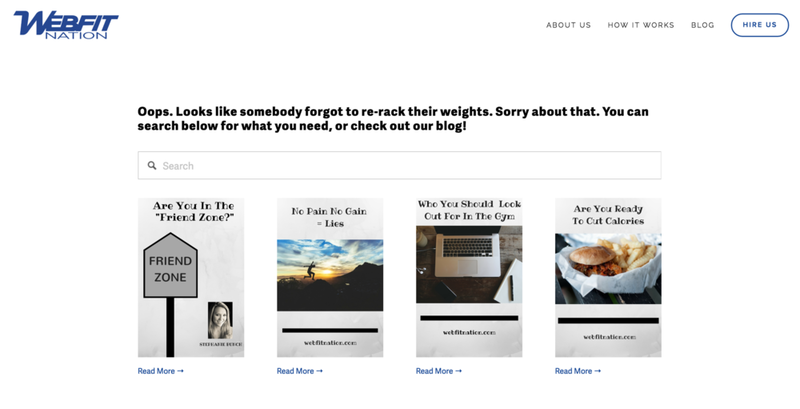 My blog post is talking about sending people to a *custom* 404 page, which is different. Right, but you do have in the post the recommendation to use the 404 to 301 plugin and that’s what I was referring too and that’s the only part that I had an issue with. Yes, but they’re not saying in the article that it’s inherently bad. They just mentioned it’s a plugin that people use to do this workflow. If you’re just using it to send people to the custom 404, that’s fine.